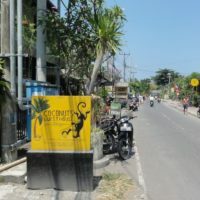 Batu Bolong is an area marked by the street Jl. 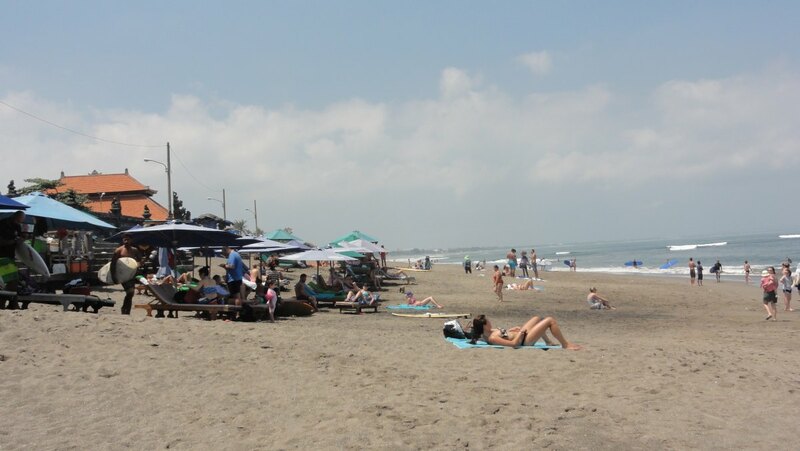 Pantai Batu Bolong which means the street leading to the Batu Bolong Beach. You can walk here from the villa, to get to the street will take you approx. 15 minutes (it is distant 1 km from the villa). 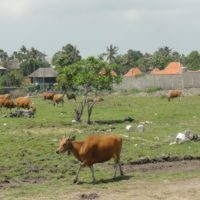 You will head the same direction as when going to Padang Linjong but will need to cross it and continue to a parallel street of Batu Bolong. 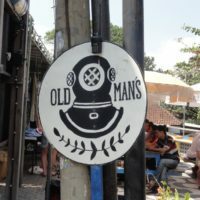 Here you can find many shops and cafes, the street is more “touristy” than Padang Linjong and you can see, especially in its bottom part, many foreigners here. 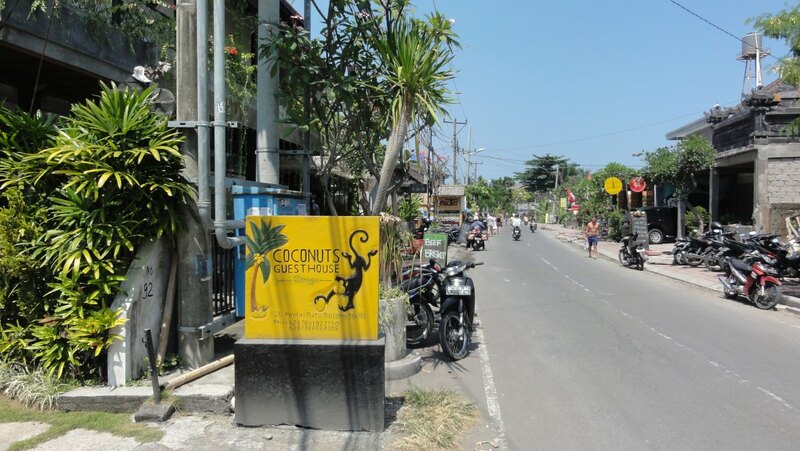 You can walk this street to get to Batu Bolong beach and the market which opens on Saturday. 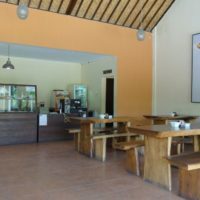 Or just stay at one of local cafes and restaurants. 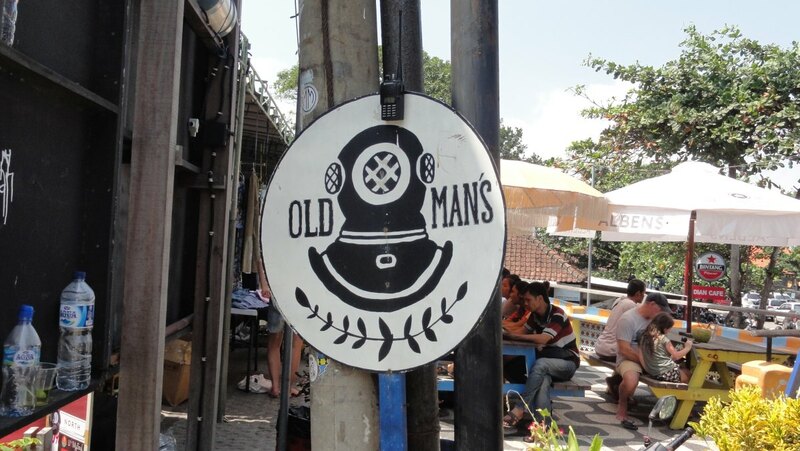 Batu Bolong street is quite long and you can stroll down for quite a long time. 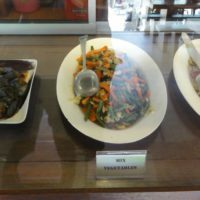 Especially if you stop in one or more of many cafes, warungs, restaurants and shops. 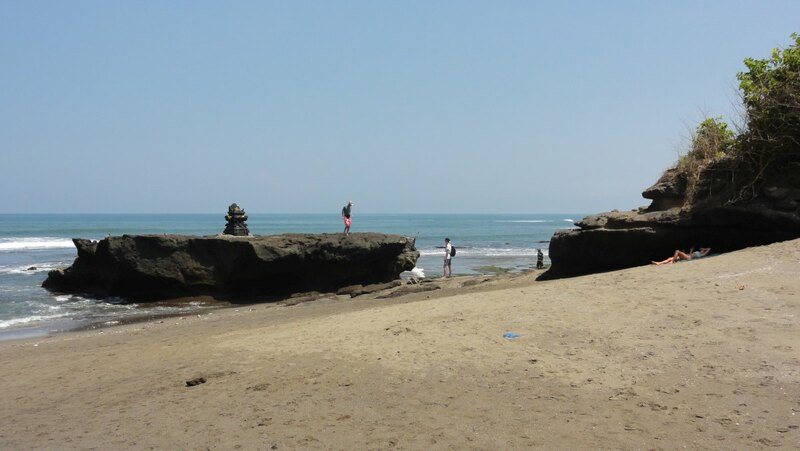 The stroll towards Batu Bolong Beach can be 30 minutes when walking fast up to more than 1 hour when looking around. The distance from the starting point when coming from the villa is approx. 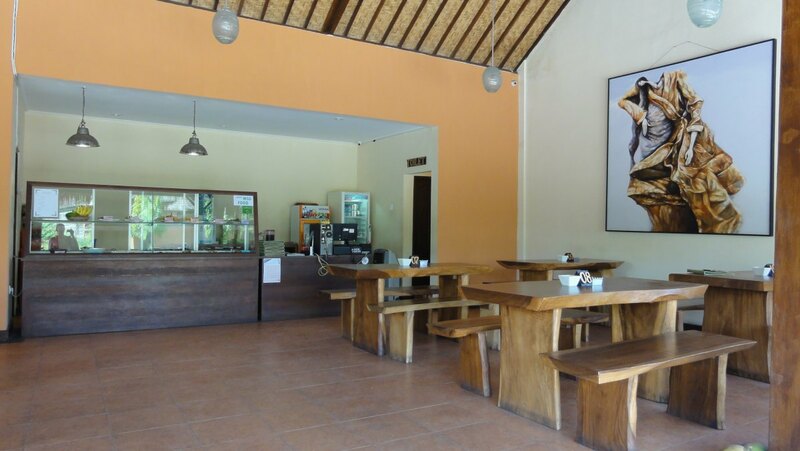 2.5 km, so to get to the Batu Bolong Beach, the overall distance from the villa is 3.5 km. 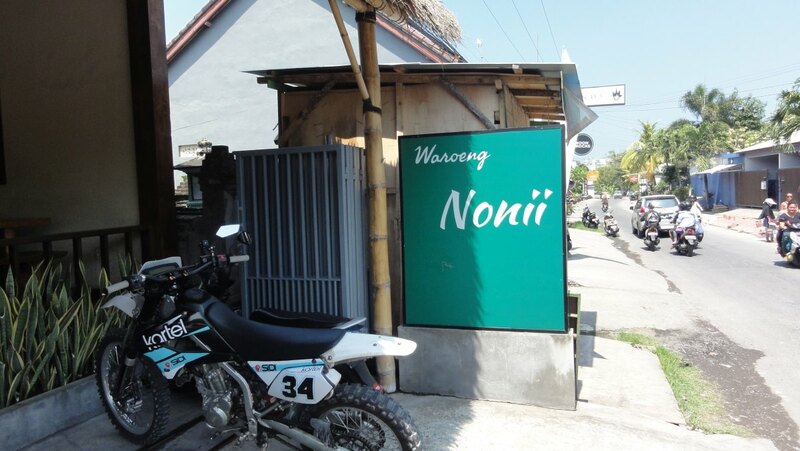 After half of your way down, there is a warung called Nonii Waroeng, where you can enjoy fresh juices and select your ingredients for nasi campur, which means a rice dish with a number of small portions of other dishes. 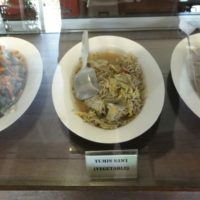 They have a very nice tofu, chicken, salads or tempeh – sweet dish made from beans. 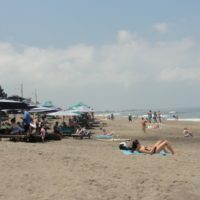 Before the end, you will come to a cross road – the right part will head towards Echo Beach, you stay on the left part to continue to Batu Bolong Beach. 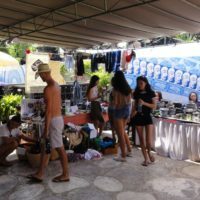 Just before the end of the road, there is a market area on the left side which gets very busy on Saturdays. You can buy there everything. 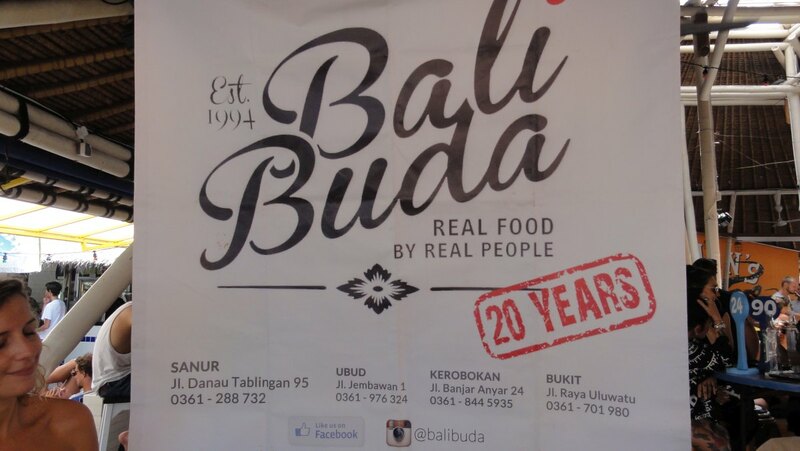 We were very pleased with Bali Buda stand selling all kinds of healthy food for people enjoying bio groceries or having special dietary requirements. You can buy a nice gluten free bread here, get gluten free pastry, nuts and many other things. 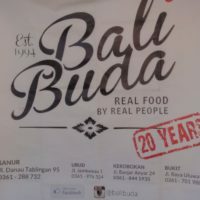 If you need more stuff, Bali Buda shops have it all, you can visit one by taking a car or cab from the villa and telling the driver to go to Bali Buda. 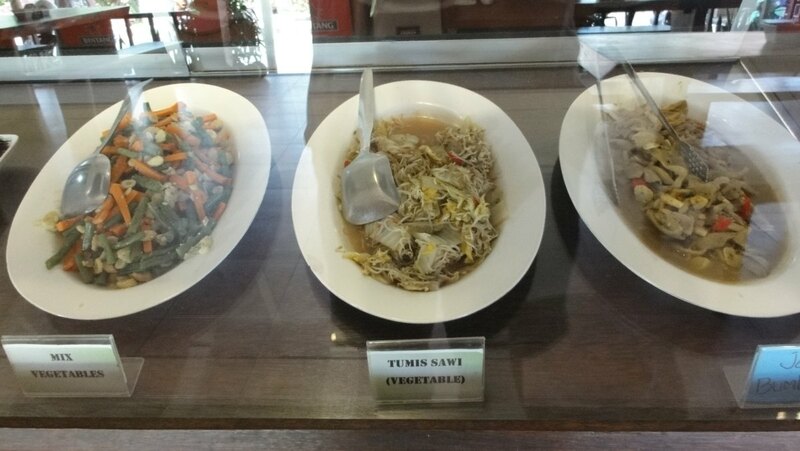 Alternatively, which can be a better option once you see what they have for you, you can call them (Suma will be happy to call) and order the food with delivery to the villa only for RP10.000 (approx. 70 US cents). 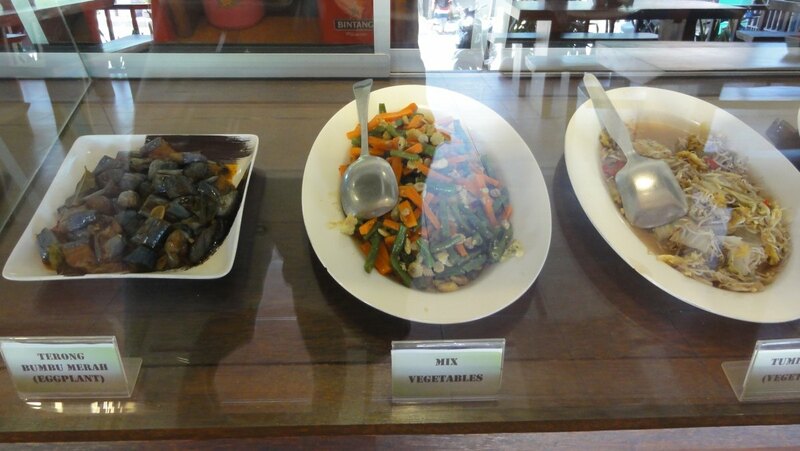 Aren't you hungry when looking at them? 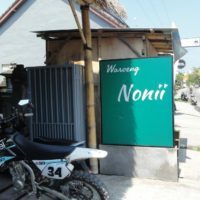 Go to the left from Yoma Villas, after 200 metres turn right to Jl. Pura Blulang Yeh. 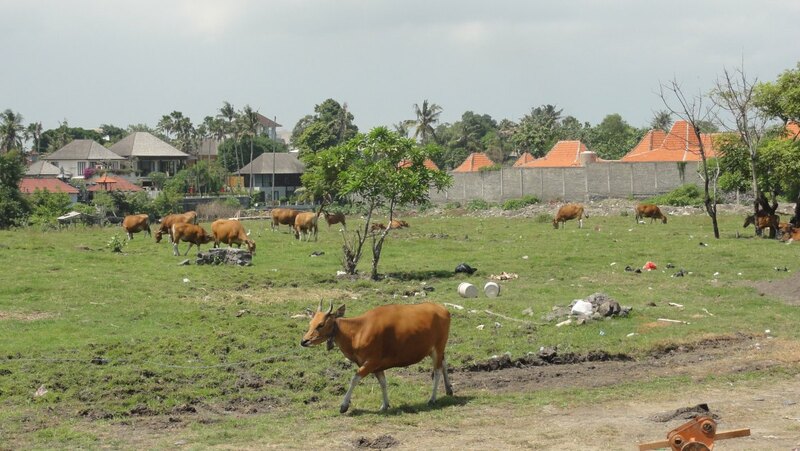 Continue through rice fields, then the roads gets wider and after a short walk, you will reach Padang Linjong. Turn left and then right again and at the end of the street you will get to the Jl. 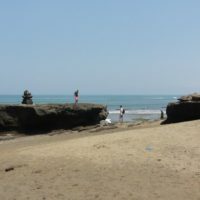 Pantai Batu Bolong. 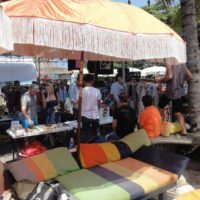 Walk down the street to the market and beach and return the same way, or get a cab for the way back. Suma will be happy to call you a taxi which takes you there in under 10 minutes.